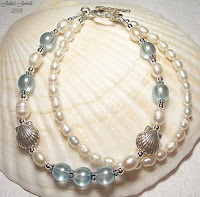 AshleyNewell.me: EtsyInspired Challenge #47 ~ Julie's Jewels AND a BOGO Event!! 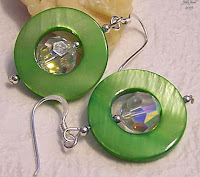 EtsyInspired Challenge #47 ~ Julie's Jewels AND a BOGO Event!! This week's EtsyInspired shop is Julie's Jewels. She is in the process of combining her old shop with a new shop, I believe just for the name. For the purposes of this feature, I will link you to her new shop Julie's Jewels but you are welcome to find inspiration in either shop. This shop features a lot of really pretty jewelry. There's all sorts of jewelry to cater to different styles. Everything from fresh and funky to classic and elegant. There's a little something for everyone. Everything is beaded and just lovely. She uses a lot of different types of beads and metals in her work which provides for a great variety and also puts her pieces at different price points so everyone can afford them. She makes earrings, necklaces, pendants and bracelets. Beyond just jewelry, she offers some home decor items as well. She currently offers lanyards, bookmarks, cell phone charms, and key rings. She also makes candle skirts, spiders, sun catchers, and Christmas decor which is not currently available but you can keep checking back. This week Julie Ann is offering a $20 gift certificate to either of her shops to the winner. 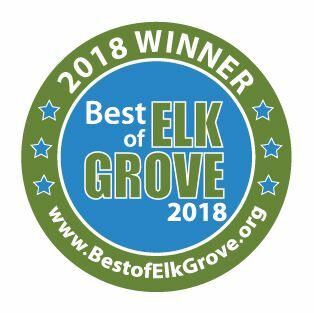 All you have to do to win is go to the Julie's Jewels shop, find an item to be inspired by and make any creation that you would like. Post a link to this blog post with your creation by next Friday, August 7 by noon Pacific time and you will be entered in a random drawing to win! If you upload to SCS or PCP, please use keywork EIC47. BUT that's not all! This week we are having a special BOGO event! It stands for Bring One (friend) Get One (entry.) Basically, for every NEW challenge player you refer to EtsyInspired this week, you will get one entry into a drawing to win an AMAZING prize! Bring ten friends, get ten entries! You can refer as many friends as you'd like but they have to be new players. New players can also refer their friends for entries into the drawing. Just have your friend leave your name in the comments section along with their creation link! For example, I was referred by ASHLEY and you can see my creation at LINK HERE. What could you win for referring your friends?? A $25 gift certificate to Paper Makeup! This is an AMAZING prize! My girl Katie Cotton owns Paper Makeup and she's the sweetest! But beyond that, she got some GOOD stuff! There is Katie's awesome line of stamps, Paper Makeup Stamps as well as some yummy treats on her site! She has COPICS, Spellbinders products, Basic Grey bling, Shimmerz, stamp storage and much much more! You have to go to Paper Makeup and check it out! And her shipping prices are really reasonable! I heart PMS! Here is my creation for this week. I was inspired by the pretty flowers and sparkly elements in the shop. 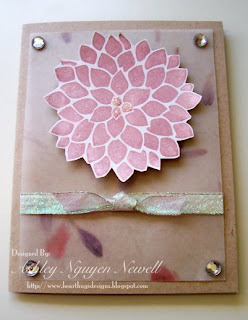 The flower is from Stampin Up's Fabulous Flowers set. I just used some Kraft card stock, vellum, ribbon, some Shimmerz, some Stickles and bling. WoooHooo how fun Ashley!!!! I love the new look of your blog and just catching up on your posts and pics of your precious boys!!!! HUGS sweetie!!!! Your card is fabulous and love the colors. I LOVE the pieces you posted and your card is beautiful! What a great week this week! An awesome shop, a fun event and great sponsorship! So much fun! I love that big beautiful flower! Wow! Your piece is beautiful!!!!! GORGEOUS! This week's shop ROCKS! Hey Girlie! You will find a little something for yourself on my blog at 12:30 PST! Lovely store again this week! I love this hun! :) That shiny ribbon looks perfect with the beautiful flower! Awesome shop this week! And a HUGE thank you to Katie Cotton from PMS for sponsoring our big event! I had fun mixing fabric and paper this week. Here's what I came up with. I do like your new blog look Ashley. It loads faster, too, which is good. Great shop again with lots of inspiration to choose from. Here's my simple little card for this week. Gorgeous cards ladies - and thank-you to those who have added links to my store within your blog posts. Can I ask if you have added a link to do so as you have found your inspiration from my designs. I wonder who will receive the $20 voucher? Oh Ashley - -LOVE the new look of your blog -- so very pretty!! I'll be back around later this week. I'm actually going to be working! I just love how you used the Fabulous Flowers set here!!! I love all that pink and prettiness you put together!!! 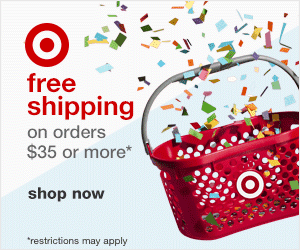 I want to win the $25 gift certificate!!!!!!!!!!! Love that mulberry paper in the background too!! !